This painted mason jar with tiny thumbprints from your little ones is sure to be a favorite. 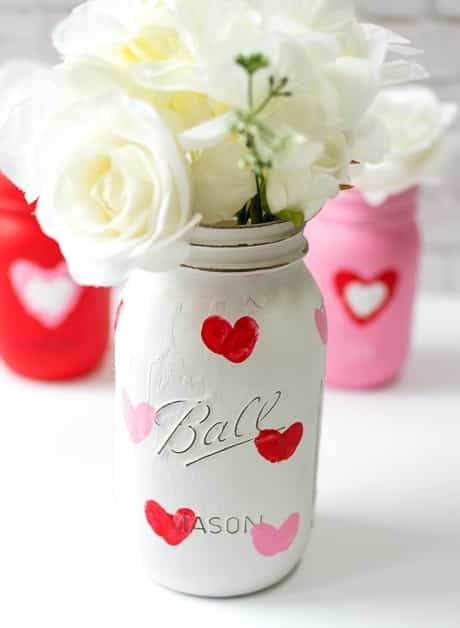 Let your kids make hearts with their tiny thumbprints on a painted mason jar. Gift with flowers or candies. Your loved ones will cherish the vase with the thumbprint hearts for years to come. You can find full instructions over at It All Started with Paint. Do your kids fear monsters under the bed? In the closet? 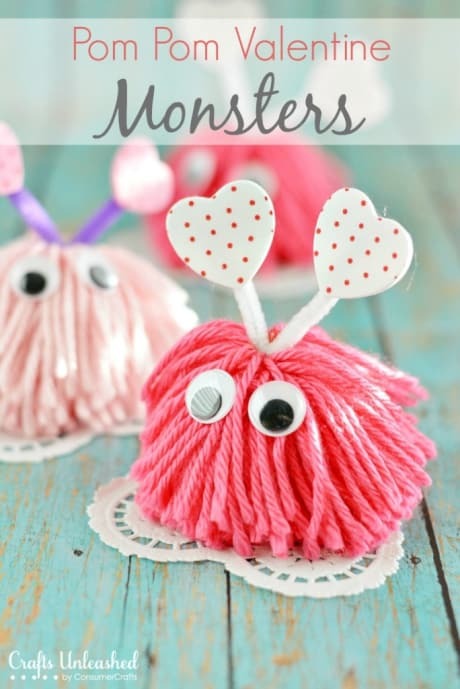 Well, these little pom pom valentine monsters are so cute, the kids will adore them. I made my first yarn pom poms this Christmas when I was wrapping presents. 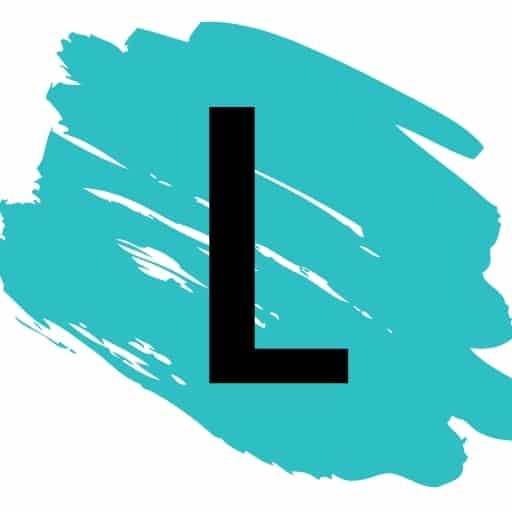 Here’s a link to that post. 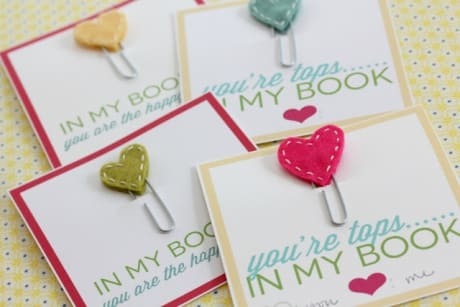 Check out the instructions for these valentine monsters on Consumer Crafts.